Hope to see you all at NYC CD release party of Caili O'Doherty "Padme" @ Dizzy's Club Coca-Cola this Wednesday, January 6th. Two sets at 7:30 & 9:30pm. 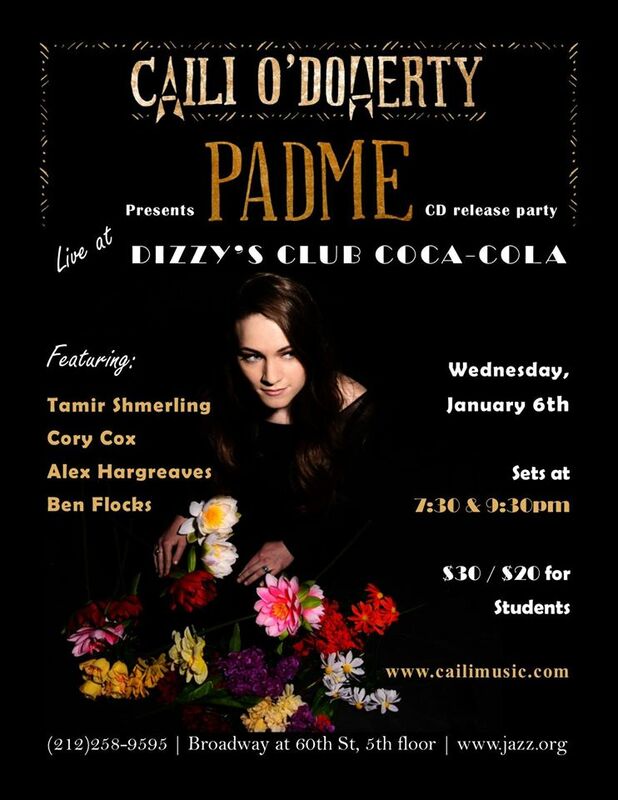 Caily's band features: Tamir Shmerling - bass, Cory Cox - drums, Alex Hargreaves - violin, Ben Flocks - tenor sax. There is a $30 cover charge / $20 for students. Mention code Dizzys5 at the door and you will get $5 off cover charge. Anna Mjöll @ Spaghettini Berverly Hills, tonight! Ennio Morricone wins Golden Globe! Matt Parker Debuts New Trio on "Present Time"